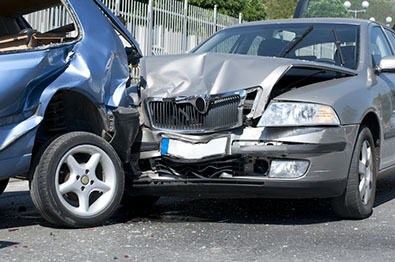 If you have been injured in a car crash, it is important to consult an experienced Brockton car accident lawyer who has consistently obtained results for clients. The attorneys at Breakstone, White & Gluck have over 100 years combined experience representing those injured by the negligence of drivers in Massachusetts, many in the Brockton, Plymouth and Bridgewater region. With over 93,000 residents, Brockton is the seventh largest community in Massachusetts, located halfway between Boston and Providence, Rhode Island. Car accidents, truck accidents and pedestrian crashes are often reported to police and in the news. Several Brockton intersections have been ranked among the most dangerous in Massachusetts. According to the 2014 Top Crash Locations report by MassDOT, the intersection of Pleasant Street and West Street saw the most car crashes in the state between 2012 and 2014, along with an intersection in the city of Worcester. Ash Street and Elm Street ranked 25th while Reynolds Highway and Lyman Street was number 51. If you have been injured in a Brockton car accident, learn about Breakstone, White & Gluck and our results for clients injured in motor vehicle accident cases. Car accidents happen when you least expect it, when a driver fails to pay attention to the road or engages in distracted driving behaviors, such as talking on a cell phone, texting while driving or drunk driving. It is emotional and traumatic to suffer an injury and there can be long-term consequences for you and your family, your finances and your quality of life. Because of these stakes, it is important to contact an experienced attorney promptly. Massachusetts saw hundreds of fatal car crashes in 2014, with many more causing serious personal injury, according to the Institute for Highway Safety. The state has one of the highest proportions of car occupant deaths (48 percent) and a high proportion of pedestrian deaths (21 percent), according to the institute. After 2014 brought a high number of local fatal pedestrian crashes, the City of Brockton has worked to improve safety for pedestrians. The city announced plans to increase electronic message boards, create public service messages for radio and TV stations and conduct a safety audit of roads in the area around Brockton High School, according to the Patriot Ledger newspaper. But car accidents have continued, including several fatal car crashes, when drivers have failed to pay attention or been negligent. In 2016, an elderly man was tragically hit and killed while walking right near Brockton District Court. Warren Avenue has been another dangerous areas for pedestrians and car accidents. The road appeared twice on MassDOT's 2014 Top Crash Locations report. To improve safety for pedestrians, in 2016, the City of Brockton erected new flashing pedestrian crossing signs at crosswalks in four areas, including Warren Avenue and Calmar and Warren Avenue and South Street. If you have been injured in a car accident, the first step is to obtain medical treatment. Accessing care as soon as possible increases your chances for recovery. Then, contact an experienced Brockton car accident attorney. You may be entitled to compensation for medical bills and lost earnings, for scarring and disability, for loss of enjoyment of life, for loss of consortium and for pain and suffering. It is important to note that Massachusetts has a Statute of Limitations which restricts how much time you have to file a claim. Contact an attorney promptly. Our lawyers have experience handling motor vehicle accident cases at all stages, from investigation to trial and appeal if necessary. We have represented many individuals after car and truck accidents in the Brockton region, including in Stoughton, Avon, Holbrook, Abington, East Bridgewater, West Bridgewater and Easton. We invite you to read more about our attorneys and their experience. For a free legal consultation, contact Breakstone, White & Gluck today at 800-379-1244 or 617-723-7676 or use our contact form.